It’s that time of the month again, when Kim Newman flings open the gates of the video dungeon on the unsuspecting public. This month we have another bunch of reprobates, with holiday camps with a difference to very unseasonal bunnies, with the urge to maim and kill. 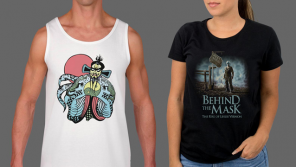 We also have sinners and mock doc vamps, all vying for early release as Kim Newman’s Dungeon Breakout. So, first up in front of the parole board we have Camp Hell, I little film, which is currently in the news for a bit of miss-marketing shenanigans regarding who is the headline star of this production. However, also claiming to be a spookshow, is actually an infuriating account of the appalling regime forced upon a group of teens in a strange Christian summer camp. With a finale that seems to deliver, it may be too tame for the horror crowd according to Kim. 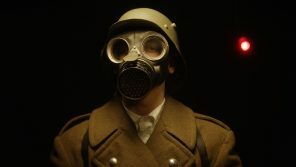 From sinning teens to sinning sinners in James Felix McKenney’s film, Satan Hates You. Where two sinners are egged on by a couple of chatty devils, which can only be seen by each of our two sinners and the audience. 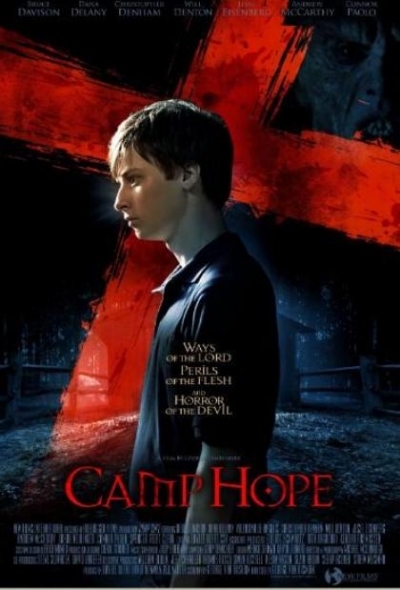 Described by Kim as “a skit on the sort of Christian scare movies which might be screened at Camp Hell”. It does however, have a darkly witty, gruesomely subversive punch line. 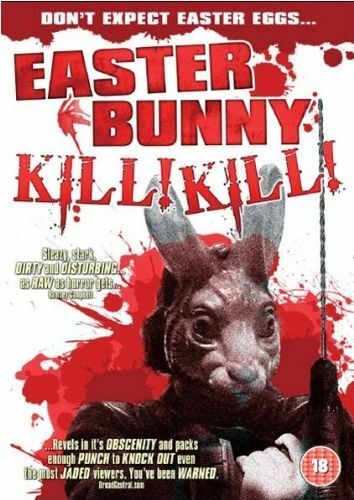 Next in this yuletide season, one film trying to get out of the Dungeon is Easter Bunny Kill! Kill! In which a kid who idolises the Easter Bunny, go figure, prays that his idol will come and kill all the bad people in his life. Surrounded by all sorts of low-lives, the body count is not an issue. Kim says “Easter Bunny Kill! Kill! Pulls it together for uplifting power-drill killings with a real Easter spirit.” Ideal for the Christmas period. 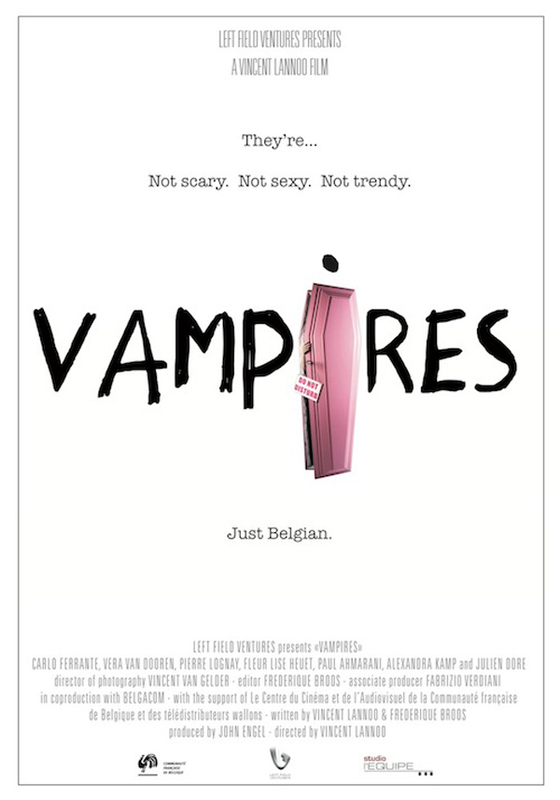 Finally Kim brings us his Dungeon Breakout, the Belgian mock documentary, Vampires. Set as a fly on the wall study of a Brussels family of vampires, where their lives have the problems of any other normal family. From rebellious teenage daughters wanting to be more human, by wearing fake tan and the like. Kim calls it a “funny, clever and – in the end – poignant” film.